My first Aran sweater. Great pattern - easy to follow, and the sweater fit was excellent. It took about a year to complete. 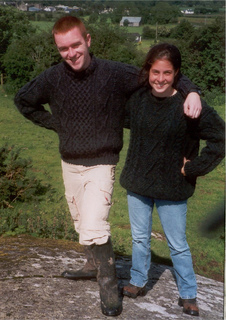 The sweater is worn by the person on the left.